In the nineteenth century, science, technology and medicine (STM) underwent drastic changes, becoming specialised, professional domains. Simultaneously, new media emerged – cheap periodicals and popular science books. 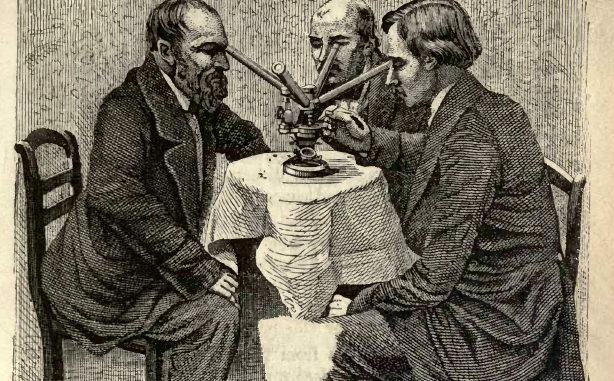 As microscopy was immensely popular at the time, many of these publications dealt with the use of microscopes. These publications were participatory, inviting amateur and professional microscopists from various disciplines to contribute and exchange material, and thus counteracted professionalisation and specialisation. This research regards circulating media as a primary factor in connecting microscopists, asking how new kinds of media – like the burgeoning microscopy publications in nineteenth-century Britain and America – spur the formation of heterogeneous STM communities.